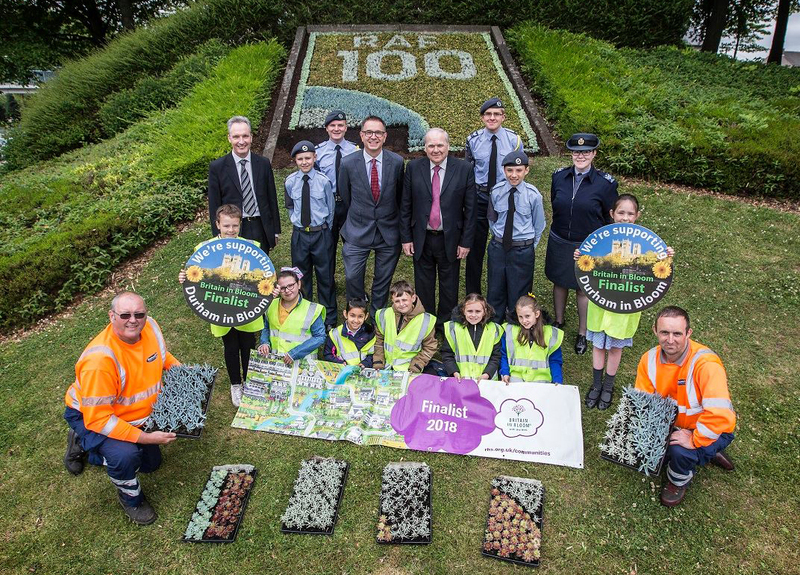 This carpet bed display was installed by Durham County Council staff to celebrate 100 Years of the RAF, assisted by children from Durham Gilesgate Primary School and 234 (City of Durham) Squadron Air Training Corps. We could not be more pleased to say that they were delighted with the project, and we for one think it looks fantastic. “Many thanks for you and your staffs assistance with the design, provision and delivery of our ‘RAF 100’ InstaPlant carpet bed material for 2018, here in Durham. The bed was installed last week as planned and posted on the council website news and events section and the Durham in Bloom Facebook page”. This is a great example of the local community getting together to celebrate an important event, not to mention teaching the next generation…who will hopefully in turn teach the next to ensure the memories continue. Maybe you have an event you want to celebrate? – if so celebrate with InstaPlant!